Tel Aviv is a highly ethnic city in which ethnicity is deeply embedded in people’s perceptions of their social milieus. Shapira, as one of the most heterogeneous neighborhoods in Tel Aviv, supplies a unique demonstration of the inadequacy of the Chicago model, which assumes the emergence of homogeneous neighborhoods. The study shows that ethnicity is exercised as a major force in determining social life in Shapira. Interactive segregation indices reveal that residents of Shapira tend to prefer intra-ethnic social networks although two-thirds of them maintain inter-ethnic networks as well. Despite this, residential and activity spaces are highly heterogeneous. Residential spaces are heterogeneous on all scales from residents’ immediate surroundings to the block and the neighborhood as a whole. In most buildings one may find neighbors from two or three different ethnic groups with only non-Jewish residents excluded from publicly owned buildings. Most residents perform large part of their everyday life outside the neighborhoods in ethnically heterogeneous surroundings, but nonetheless in choosing their more meaningful partners for social networks they choose them from their ethnic groups. 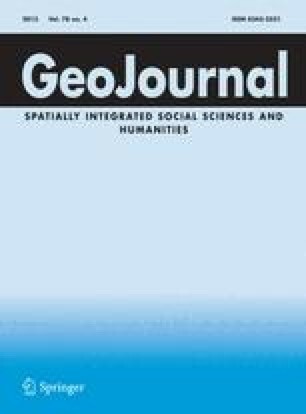 The fact that residents tend to perform a large part of their activities out of their neighborhood, and to live in heterogeneous surroundings in social categories that are perceived by them salient to their daily life, does not undermine the relevance of the neighborhood as a socially constituted entity in the urban field. People organize and act in order to improve life conditions in the neighborhood, they feel sense of attachment to the neighborhood and they develop some local social networks in the neighborhood.